Robert Rallo, Data Sciences Group Lead with PNNL’s Advanced Computing, Mathematics, and Data Division, will head to Seattle to participate in the Life Science Innovation Northwest conference, the region’s largest life sciences event, being held March 27-28 at the Washington State Convention Center. There, he will be joined by more than 500 attendees representing biotechnology, medical device, biopharmaceuticals, health information technology/digital health, global health, and research institutions meeting to educate, showcase, and facilitate life science innovations, especially those impacting the Pacific Northwest. The conference will include keynote speakers, expert panels, podium presentations, partnering meetings, and poster presentations. On March 27, Rallo will serve as a panelist for a session devoted to “Technology Partnerships: The Engine Driving Innovation in Life Sciences.” The panel, which also will include personnel from Fred Hutchinson Cancer Research Center, Tableau Foundation, PATH Digital Health Solutions, and Amazon Web Services, will examine how the continued rise in data volume means research and development in life sciences will require more engagement with technology companies. In addition, the panel will focus on what it takes to build successful collaborations and what actions discourage such partnerships between the life sciences and technology sectors. 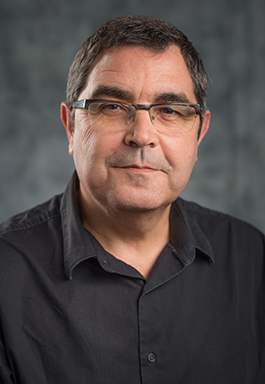 Before joining PNNL, Rallo was an Associate Professor of Computer Science and Artificial Intelligence and Director of the Advanced Technology Innovation Center at the Universitat Rovira i Virgili in Catalonia, where he also earned his doctorate in chemistry.